Yet another panda! This one is by Kunihiko Kasahara and is made from 2 squares of paper. 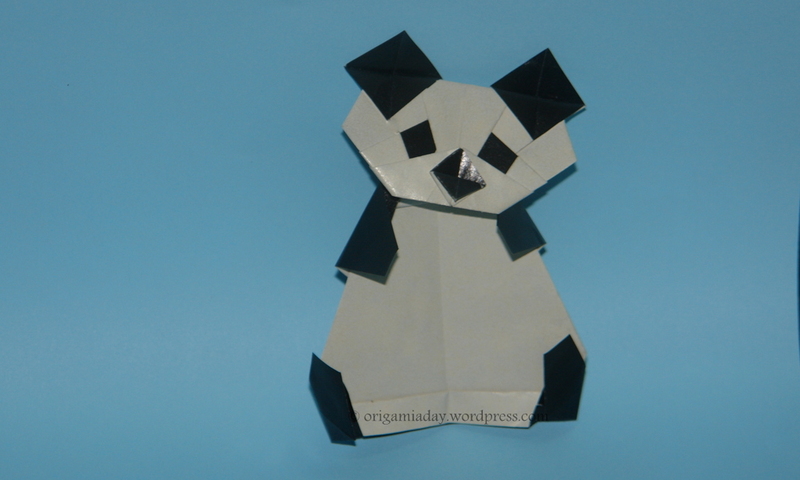 The panda looks good in thicker paper, which will ensure that it able to sit without support. Blog content (text and images) are property of the Author, unless otherwise attributed. Use of material from this Blog requires proper acknowledgment and/or permission from the Author. Origami A Day is moving!